Airbus says its first BelugaXL over-size transport aircraft is on track to make its first flight later in 2018 after emerging from final assembly. 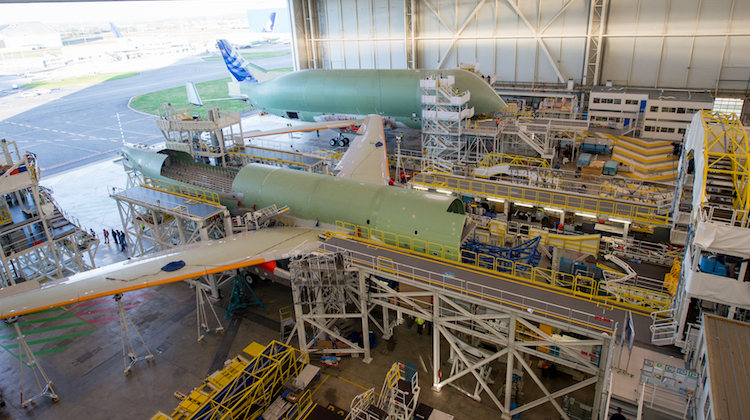 The first of five new BelugaXLs completed final assembly in early January at Airbus’s headquarters in Toulouse, France, the company said on Tuesday (European time). The structurally complete airframe was expected to have its two jet engines installed and undergo ground tests over the next few months before its first flight, due to take place mid-year. The head of the Airbus BelugaXL program Bertrand George said testing included the use of hydraulic jacks to simulate flight loads on full-scale copies of specific joints between the new upper bubble and A330’s lower fuselage. “We will perform bench tests in Toulouse and Hamburg, Germany – testing our systems on flight simulators and in laboratories,” George said in a statement. Airbus announced in November 2014 it would build five new “Beluga” transport aircraft to cater for the planned production rate increases of its aircraft models. The aircraft’s core airframe is based on the A330-200 freighter featuring Rolls-Royce Trent 700 engines. It will be capable of carrying a full set of Airbus A350 wings. Entry-into-service is planned for 2019. “We have the A330 as a foundation but many changes have been successfully designed, introduced into the aircraft and tested,” George said. 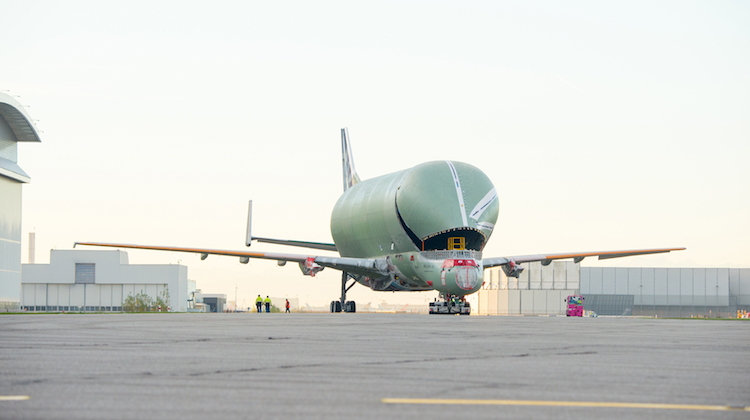 The smiling livery referred to the supersized smile to be painted across the ‘face’ of the aircraft, which was the winning design from six options Airbus presented to its employees to vote on in 2017. 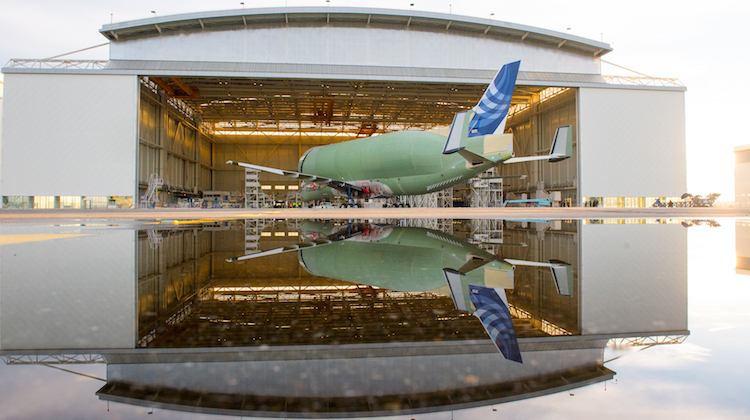 Meanwhile, the second BelugaXL is currently also in Toulouse undergoing its final assembly. Wonder what the fuselage diameter is compared to an A380? & would it have been easier to convert an A380 – perhaps re-launching the A380 freighter given there have been few new orders on the A380 passenger version? The A380 fuselage is 7.14 m, the Beluga XL 8.8 m in diameter.